Led Zeppelin's most underappreciated album gets the remastered treatment. Led Zeppelin had been used to making records in the face of public criticism and external strife. Rolling Stone magazine wrote that on the band’s first album, Led Zeppelin “waste their considerable talent on unworthy material”. After the lukewarm reception of 1969 debut Led Zeppelin many were wondering if Led Zeppelin had committed career suicide, and with the release of House of the Holy, those same critics wondered if Zeppelin had anything left in the tank at all. When in doubt, and when faced with stacked odds against them, Zeppelin could always be counted on to rebound and come back stronger than ever. The fundamental difference between Presence and every other Led Zeppelin album is that it was the band’s first album produced in the midst of internal turmoil. Following the wildly successful Physical Graffiti, Zeppelin were given the monumental task of following up such a flawless album. Before they could even do so, frontman Robert Plant was involved in a near-fatal car accident on the island of Rhodes. While he was recovering, he was joined by guitarist Jimmy Page, where the idea of recording an album was first conceived. After writing the majority of the songs together, the pair reconceived with John Paul Jones and John Bonham in Germany where the recorded and mixed the album in only 18 days. Because of the spontaneity of the album’s genesis, Presence is their jammiest and funkiest album, standing in stark contrast to the meticulous precision of the band’s earlier works. The biggest issue plaguing Presence is that it’s Physical Graffiti-era Led Zeppelin trying to be Led Zeppelin II-era Led Zeppelin. As a result, Presence became the band’s simplest album, but again, that by no means makes the album bad, a fact that went largely ignored by initial critics of the album. Despite being only seven tracks deep, Presence has more than its fair share of memorable moments and standout songs. Kicking off the album is the band’s last true epic, “Achilles Last Stand”, which picks up right where “Sick Again” left off. 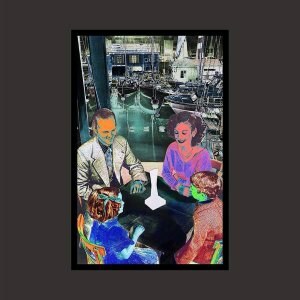 Between Bonham’s heart attack-inducing drumming, Page’s incendiary guitar play and Plant’s hypnotic shrill singing, the opening track is more of a cold opening, one where Led Zeppelin is firing on all cylinders with no need for introduction. If Physical Graffiti represents the zenith of the band’s career, then “Achilles Last Stand” is the sound of the band taking in one last view before climbing back down to earth. Backing up “Achilles Last Stand” is the egregiously forgotten (and according to Sporlce one of least known Led Zeppelin Songs) “For Your Life”. With its powerful bassline, rugged guitar riff, and sardonic lyrics, “For Your Life” is one the brightest hidden gems in the band’s entire catalogue. Equally forgotten is “Royal Orleans”, a biographical account of John Paul Jone’s misadventures with a transvestite prostitute. The cohesion of the guitar, bass, and drums sounds like a steam train chugging along over Plant’s playful delivery. Bonham’s bongo breakdown during the bridge of the song stands out as one of the most amusing moments on an album dominated by guitar overdubs and desperation. Symbolically, “Royal Orleans” provides a brief cheerfulness on an album overwrought with turmoil and alienation. Presence is best known for two tracks, “Achilles Last Stand” and “Nobody’s Fault But Mine”, the second last track on the album. The bluesiet song on the album, “Nobody’s Fault” is a behemoth made from bone-crunching basslines, a maniacal harmonica solo, and its memorable “call-and-response” structure, and it’s a shame that the band only had three years to play the song live. At its core, “Nobody’s Fault” serves as a paradigm for the state of the band’s reputation, as well as the album Presence. It’s a heavy, blues-rock track that like an avalanche grinds down everything in its path. However, there’s still an immaculate aspect to the song that leaves listeners in a mystified daze, as if they had never heard anything like it before. The true power of Led Zeppelin was in combining the ethereal with the physical; elevating the earthly and human elements of the blues while simultaneously elevating their own music to almost divine levels. Despite its strong first half, in its latter half, Presence does encounter a few pitfalls that dilutes its overall impact and prevents it from standing as tall as its sister albums. “Candy Store Rock” sounds like the prequel to 1971’s “Rock and Roll”. “Hots on for Nowhere”, while not malignant, is superfluous, and “Tea for One” may very well be the worst Led Zeppelin song of all time. Led Zeppelin wrote some beautiful ballads, from the sensitive “The Rain Song” to the timeless ‘Ten Years Gone”, the band was just as good at making listeners shed a tear as they were at making listeners want to rock out. Conversely, “Tea For One” is a failure of a ballad. It mercilessly drags on for almost 10 minutes, all four members sound incredibly bored on the recording, and it sounds like they all planned to stretch out the song as long as they possibly could. Making a list of the worst Led Zeppelin songs would be next to impossible because there really aren’t that many bad songs, however, “Tea for One” would have the dubious honor of kicking off any such list. Like the rest of the band’s discography, Presence has gotten the remastered treatment, and like the rest of the re-releases, the bonus material leaves too much to be desired. With the promise of bonus content, the band got their fans' hopes up just to cut them down with the lackluster contributions. All the re-release of Presence has to offer are (slightly) different versions of “Achilles Last Stand”, “For Your Life” and “Hots on for Nowhere”, one instrumental that was thankfully cut from the recording sessions, and an amusingly different version of “Royal Orleans”, the only saving grace of the bonus material. The only real difference between the outtakes and their standard counterparts is a differently mixed guitar solo with a slightly tweaked vocal arrangement. As far as the extra content goes, like the previous six re-releases, Presence is just another disappointment. After all, why open up the vault if there's nothing to bring out? Despite its weak second half, Presence is too good of an album to be dismissed. Although side one doesn’t stand up to any of the band’s previous work, the first four tracks still offer a fun ride through epics, hard rockers, and jovial romps. The album is also Page’s best work as a producer as he’s able to perfectly juggle the vocals with the music in a way that accentuates all the pieces into their most sonically balanced album. Everything just sounds much cleaner and polished, yet still rugged and earth-shattering. Presence was Led Zeppelin’s most human album, and for some that may be off-putting. But it was an album that they themselves needed to record at the time to prove that they would be able to rebound from inner turmoil as resiliently as they recovered from external strife. Because of this indestructibility and their ability to make perfect records, the band gained this aura of divinity and mysticism. Long has Led Zeppelin been portrayed as gods; on Presence the gods came down from Olympus.